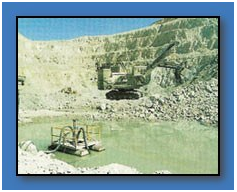 are employed in open mining areas, subterranean pits, salt mines, excavation pits or in stone quarries for groundwater lowering. 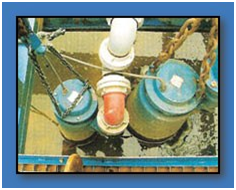 The wear-resistant, high-quality materials and their low weight allow the transportable employment of the pumps under the most difficult conditions. They distinguish themselves by a very good dry run acceptance, long maintenance-free terms and are laid out for continuous operation. Drainage pumps can be used with a delivery rate up to 450 m3Ih and delivery heads up to 60 m in excavation pits, collective shafts, however, also for cellar and surface drainage tasks. 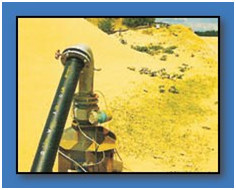 Solids contained in the water like sand or other abrasive materials can be tolerated up to a grain size of 10 mm. Oddesse pumps series Söffel distinguish themselves by an excellent wear resistance and they work reliably in vertical, horizontal or inclined installation position. 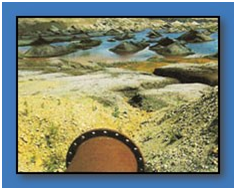 Oddesse Säffel-pumps are used in gravel pits for groundwater lowering and for the supply with rinse water. 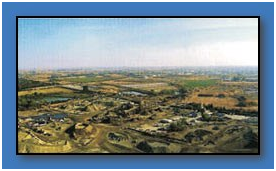 Due to the advantageous slim construction form and the delivery connection showing upwards the drainage pumps types up to Söffel B-W can be installed in a 10”- filter well. 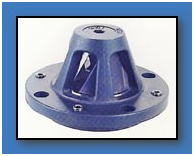 The single-stage Söffel A-H or B-W are suitable to use for higher pressures and delivery heads. These pumps are able to be installed, f.e. 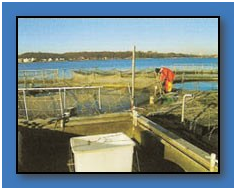 with swim pontoon or hanging on a riser pipe, for the delivery of salt- or fresh water, as well as fossil water. 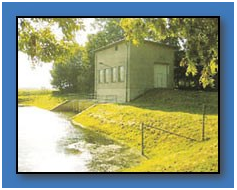 Oddesse propeller pumps are used in the pisciculture for the circulation of the water and for oxygen enrichment. 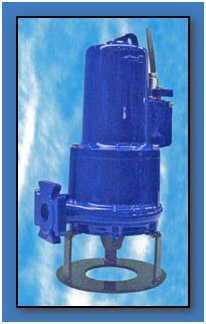 They can be applied as a submerged pump as well as a dry set up inline pump. Oddesse propeller pumps for drainage application with deliveries up to 1.000 m3/h and delivery heads up to 21 m are employed as draining pumps in flood plain areas. Oddesse propeller pumps in high water protection installations, mounted on sliding rails, serve for pumping over of big water quantities. 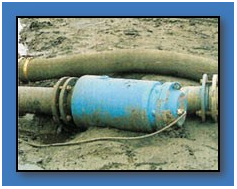 Oddesse propeller pumps with automatic coupling are used in pile type pump installations for drainage of swamp areas. 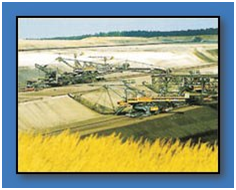 Oddesse propeller pumps are used in redevelopment areas to flood the pits of opencast mining. 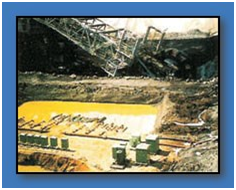 Oddesse submersible motor pumps of the series po-so/ss are used very frequently in the filter wells in open pits. 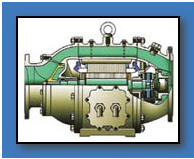 The pumps face a very high requirement in application. 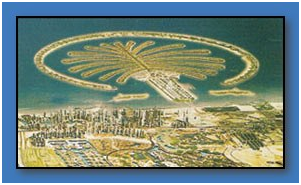 With possibly small well diameters a very big delivery is demanded by customers. As the pumps as well as the relating motors are manufactured by Oddesse (“one hand product”), an optimal adaptation is possible in order to obtain the best output capacity. Good efficiency values grant low running expenses for the user. Oddesse pumps guarantee a high service and repair friendliness due to their modular construction. They are tried and trusted for being used in high ochre containing ground-water because of their big channel-width in the impellers. 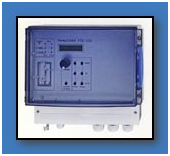 Oddesse pumps are applicable both for interrupted and electronic frequency converter service. 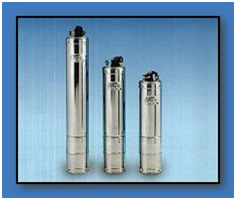 Oddesse submersible motor pumps are marked by their variety in high-quality material combinations. 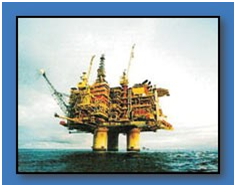 The submersible motor pumps are applied as well for the delivery of salt water due to their high corrosion resistance and the outstanding heating-up behaviour of Oddesse submersible motors. 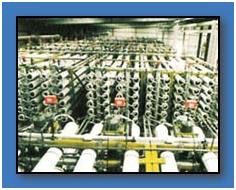 An example for this form of the application of Oddesse submersible motor pumps is the delivery of salt water for treatment in RO (“ reverse osmosis “) installations, in coastal areas or in the off¬shore industry. 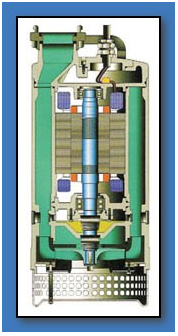 Here Oddesse pumps are also used for coolant water delivery and in fire-fighting technologies. For these purposes, the required material qualities can alternatively be chosen between high-quality stainless steels AISI 316 orAlSl9O4L, as well as bronze. Recommended 4 core cable only. Single phase and 3 phase motors are permanent split capacitor motors (PSC). They can thus work with only one capacitor. If, anyway, our standard control box is not used, a thermic relay for the protection should be installed. Even with large articles after culling there will be no clogging etc.